The remaining film reel used for Flame was found in 2011 at the Cinémathèque Française archives in Paris. The Ann Arbor Film Festival (AAFF) is known for its bold and experimental touch and is among the most important art house events of the calendar year. Out of a total 3 000 submissions from 65 countries, Maija Blåfield’s On Destruction and Preservation (Tuhoutumisesta ja säilyttämisestä) snatched the 3 000-US dollar main prize at the 57th AAFF. 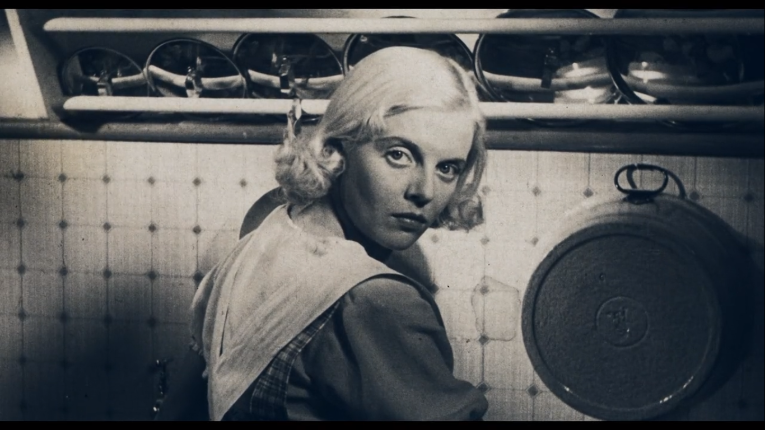 Blåfield’s avant-garde film includes a romantic scene between fungi in a deteriorating apartment. Blåfield’s multi-layered short film has several stories that vary from essay to documentary filming. The film has two versions, of which the first one was an exhibition project on display at the Ars Fennica exhibition at Kiasma Museum of Contemporary Art in Helsinki in 2017–2018. The version that took the prize at AAFF made its debut at the Visions du Réel documentary festival in Switzerland in early 2019. Sami van Ingen’s short film Flame (Polte) received the Cutters Studios Archival Film Award, which includes a 1 000-US dollar grant for film scanning services. Van Ingen’s piece is coincidentally made from the last minutes of the only remaining nitrate reel of Teuvo Tulio’s Silja – Fallen Asleep When Young (Nuorena Nukkunut) from 1937. The rest of the footage was destroyed in a fire at Adams Filmi in 1959. Flame is one of the most successful Finnish short films over the past years, having done the rounds of more than 30 film festivals and won awards at Split Film Festival in Croatia, Fronteira in Brazil and Art Film Fest Košice in Slovakia. The Estonian-Finnish collaboration Rodeo – Taming a Wild Country (Rodeo – Viron villit vuodet) received the award for best screenwriting at the Estonian Film and Television Awards (EFTA). Screenwriters Kiur Aarma, Raimo Jõerand and Ari Matikainen tell the unique story of post-Soviet 1990s Estonia, where a transition from a planned economy to a market economy is led by the 32-year-old new prime minister, Mart Laar. Anja Kofmel’s animated documentary Chris the Swiss was bestowed with three awards at the Swiss Film Awards, one for best documentary, one for best music and another for best editing. The Swiss-German-Croatian-Finnish production is an intriguing look into the life of Swiss journalist Christian Würtenberg, who died in the Balkan War. Some things about the death don’t quite add up, such as the fact that he was found strangled, wearing a mercenary group’s uniform. Director Kofmel is Würtenberg’s cousin and leads the audience on an investigation into what really happened.